Here’s how to get your car to perform better by spending less than Rs 50,000! If you own a petrol or diesel car and wish that it had just that little bit more power to beat another car out of a traffic light, there are some performance modifications that could help you do that. There is no limit to the extent you can modify your car, but within a budget of about Rs. 50,000, here’s how you can squeeze about 20% more power and torque out of the car. Modifying the performance of your car is better done once the car’s warranty period has expired, because no warranty claims will be honored by a car manufacturer if aftermarket modifications have been done to it. Also make sure the modifications are carried out by a reputed tuner or garage, if you plan more elaborate aftermarket performance modifications. Ideally a complete, expensive performance modification would involve upgrading most parts of the car to keep the balance of power and performance all around. If you give the car more engine power, you’ll need to upgrade the brakes to stop it. Then you’ll need to upgrade the suspension to help in better handling. However, smaller, bolt-on performance modifications are cheaper and don’t involve too many collateral changes to the car. Here’s a list of some performance modifications you can consider for your car. One of the easiest modifications is to help the car breathe better. 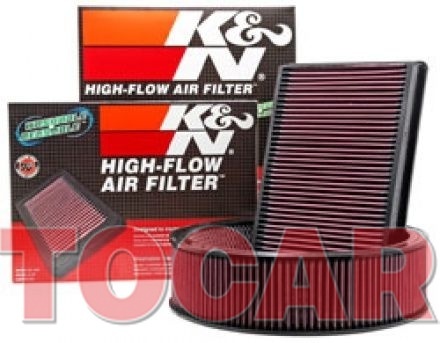 There are stock replacement aftermarket high-flow air-filters from companies such as K&N and Green Cotton, which involve just replacing your regular air filter with the oil-coated performance filters from these companies. The better air-flow to the engine will result in fast pick-up and also a slight increase in mileage. The overall gains are only about 5% in terms of power and torque output. The downside that some owners have reported is that carbon build up is higher in the engine. Fuel injectors need cleaning more often because high-flow filters sometimes allow some fine dust particles to pass through. As long as you carry out preventive maintenance often on the car, it’s worth installing a high-flow air filter. 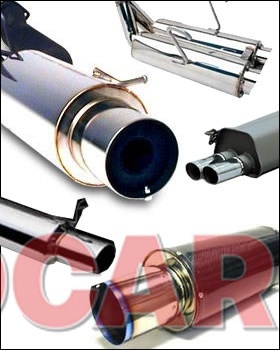 Free flow exhausts are modified exhaust pipes that allow a higher volume of burnt-exhaust gases to escape from the engine. The faster burnt gases leave the engine after combustion, the better it is for performance. Each model of car will need a custom-built free-flow performance exhaust as the route for the exhaust plumbing differs. Free-flow exhausts, however, amplify the engine’s exhaust note and need not necessarily be street legal. They sound better on petrol vehicles, but not that nice with diesels. Emissions are not affected as long as you retain the catalytic converter in the exhaust. However, if catalytic converter is removed, you do get more performance, but at the cost of higher emissions. Another easy way to extract more performance out of your petrol car is to add an octane booster. 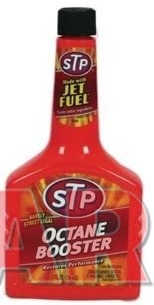 This is a 250 ml bottle additive made by companies such as STP and Wurth which improve the combustion quality of the fuel (improves the octane rating). You could either use such an additive with each tankful of petrol to improve overall performance or also consider filling high-octane petrol (97 octane), that is significantly more expensive than regular unleaded or premium fuels. An ECU re-map is new software with a set of engine parameter codes that are fed into the car’s ECU (engine control unit). This alters the way the car behaves by modifying the timing and amount of fuel flow. You can get different types of performance re-maps for the ECU, which include maps for better torque (to increase acceleration) or better top-end power. Pete’s and Kiirus are a couple of companies that offer this service in India. One can also get maps for better fuel economy too. A re-map works with both petrol and diesel cars, but the gains are more significant with a diesel car. Performance gains are as high as 20% in some cases. Some companies such as Dieseltronic and Pete’s offer “piggy-back” diesel tuning boxes for various Indian cars. These systems are plug and play. 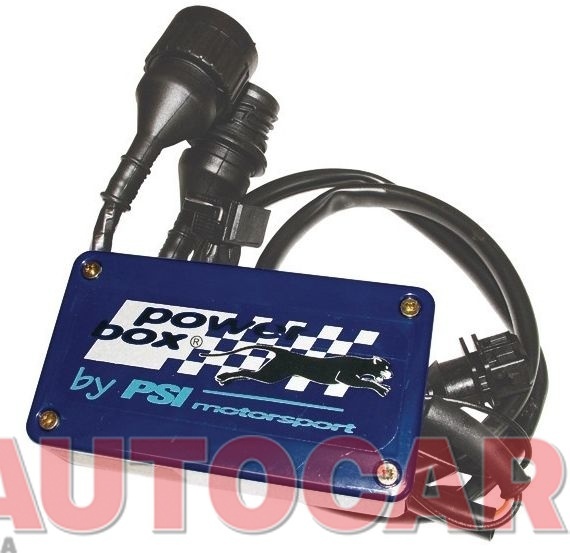 It is a box, pre-loaded with software that connects between the car’s fuel-injection system and the ECU. What the tuning box does is to fool the car’s main ECU into thinking that the car is running a lean mixture or running too cold, which makes the ECU force more fuel to the injectors, allowing for better acceleration and performance. One can get up to 10% to 15% more power from this, but emissions do go up significantly because of the rich fuel mixture, which leads to black smoke emission on hard acceleration. If you are considering even more serious performance modifications, the list of things that can be done is vast. 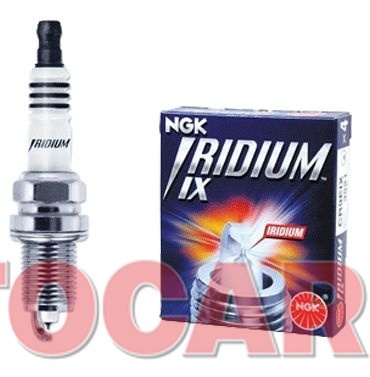 Petrol cars can opt for nitrous injection systems, which help in drag races. One could also add a turbo-charger and increase power significantly in a petrol car, while diesel cars can opt for bigger turbos and intercoolers to boost power. However, these kinds of modifications will cost a few lakhs of rupees. And it doesn’t stop there. With increased power, you need to stiffen the chassis, upgrade the suspension and upgrade the brakes. Just a set of high-performance shock absorbers can set you back by about Rs. 50,000. The price is similar for upgraded brakes. One will also need to upgrade the clutch for even better performance. Then you have to consider upgrading the wheels and tyres, which will set you back by another Rs. 30,000. But if you are working with a limited budget to modify the performance of your car, the list above should serve as a pointer to what you can do. Do let us know if you have more ideas to increase the performance of your car. Please share any experiences of owning or modifying a car as well. Firstly I will recommend a remap if you are going to be the car for long term then piggy bag ECUs. For diesel engine remaps and power boxes are easy to find but for petrol you need a re-map or new programmable ECU (latter is very expensive). These mod alone will give the best power to money ratio. Only then one should install K&N/cosworth/Green aftermarket filters, next will be a good quality patch of tyres so that all the new power is put to the road down well. All these 3 mods can be done under 50k atleast for hatchbacks but the price increases as you go to higher segments. Free-flow is not advisable because many free-flows actually sap power (not everyone is professional) secondly its a nuisance to people and everyone will stare with disgust. Thirdly is not allowed as per law (though none are allowed but free-flow is heard from miles away). Next the sound will get irritating and if you love it first time, even if you go for more bass than outright sound it will give you headache. Then there will is idle rev mis-match which is tedious process to get right. Do Octane boosters really work? I saw on television that they really aren't that beneficial as they claim to be. Feedback welcome from anyone having experience of using the same and the kind of benefits derived. I guess we can use turbo which will give a lot more performence but I am not aware of the price . Tell me what are your views on turbos ? Turbocharges are expensive. Priced about 70k to 3lacs approx.